The problem that precipitated the recall is suspected insufficient paint coating of the front cross member. After the intervening 8 or 9 years, continuous driving around the salt states apparently would lead to corrosion. Eventually, this corrodes the mounting point on the passenger-side control arm and messes up steering alignment. Then, if you hit a pothole at speed with this corroded cross member, it may snap in half and mess up your steering, possibly causing a crash. 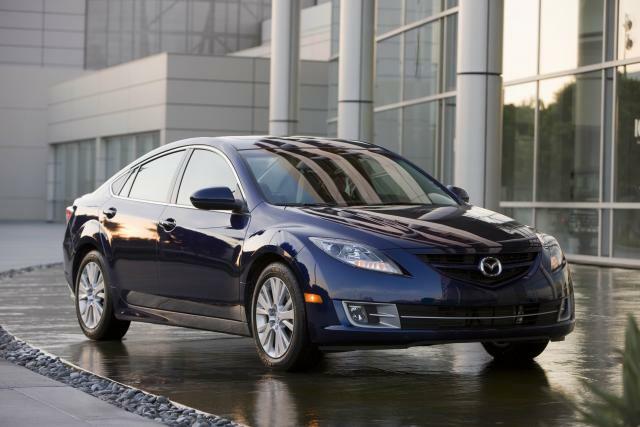 So, which states are tearing up Mazda6 cross members? According to Mazda, salt states include, in alphabetical order: Connecticut, Delaware, the District of Columbia, Illinois, Indiana, Iowa, Kentucky, Maine, Maryland, Massachusetts, Michigan, Minnesota, Missouri, New Hampshire, New Jersey, New York, Ohio, Pennsylvania, Rhode Island, Vermont, Virginia, West Virginia, and Wisconsin. Presumably, by “salt states” Mazda North American Operations means states that use salt on roads to clear them of snow and ice. This affects about 48,814 vehicles, 22,544 from the 2009 model year and 26,270 from the 2010 model year. Mazda says that nobody has reported any crashes or injuries related to the condition to them so far. So, if you are still tooling around the North- or Midwest in your old Mazda6, make sure to check if your VIN number is part of this recall on the NHTSA website (or Mazda’s recall center). Otherwise, you can feel free to point and laugh at we poor, rusty drivers of the Salt Belt.